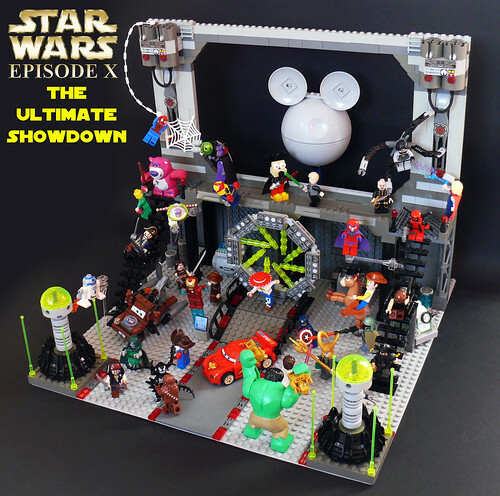 Star Wars vs. Marvel: Disney Showdown! While the Star Wars and Marvel universes exist independently of each other, their fans do not! This is your chance to show, in Lego form, what would happen if Marvel and Star Wars met. This encounter can happen within the Marvel universe or on any of the Star Wars planets. You are not required to come up with any kind of explanation as to why these two universes have collided. Just have fun with the possibilities! Show what would happen if the good guys and villains of Marvel and Star Wars met. This build should be all about the conflict, so make it fierce! This build should also be clearly about good guys vs. bad guys. You can have one good guy vs. one bad guy, one character vs. a group, or two groups facing off against each other. You should choose either Star Wars or Marvel characters for the good guys, and then the opposite universe for the bad guys. For example, you can show Luke Skywalker facing down an army of Hydra agents, or the Fantastic Four fighting Darth Vader; but you can’t have the Jedi Council teaming up with the Avengers to fight the Sinister Six. Teamwork builds should be reserved for Cat. B. Size limit is 64x64. Show what would happen if the good guys or the villains of Marvel and Star Wars teamed up. The focus of this build should about the teamwork between good guys from Star Wars and Marvel or the bad guys. You can include this alliance working against one foe, but the focus of the build should be about how the two groups work together. For example, you can show how Spiderman and Daredevil would get along with Qui-gon and Obi-wan and show them taking down Kingpin, but the emphasis of the build should be them working together. Or you could show how Count Dooku and Modok would work together and you could having them torturing Anakin Skywalker, but you shouldn’t have them taking on the entire clone army. You could also just show stressed the team work would be such as if Red Skull, Doctor Doom, and Modok tried to team up with Bossk, Boba Fett, and Dengar. Size limit is 64x64. The size restrictions for both categories is 64x64 studs. The contest will run from 1st June to 1st July, 2015. As long as it's still July 1st somewhere in the world, you can still enter. This contest is open to all EB members, even if they joined EB after the contest has begun, with the exception of the Star Wars and Licensed staff, who are not eligible to win prizes. All entries must be posted as a new topic in the Watto’s Junkyard forum, the title prefixed by, "[sWvsM] – category - entry name". (For example, "[sWvsM] – Cat. A – Hulk Smashing the Imperials".) A link must also be included in this thread for your entry to count. For each category, EB staff will make a first selection, and then EB members will vote for their favorite entry among that selection. Dude, you gotta stop doing this contests....it's so tempting. Maybe this will finally get me to buy some Marvel sets. Is it MCU only or are the x-men allowed in as well? Wow, are you trying to compensate for many years without contest in two months? Another contest? Excellent! And surprising at the same time. Vader v Avengers sounds great! Wow, another great contest! Not sure if I'll have time to enter, but this seems right up my alley! 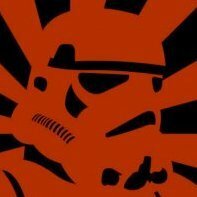 I don't suppose I can just re-enter my entry from the Future of Star Wars contest? Time to dig up the old fancy Star Wars figs, good thing i bought 'em back then! Going to have to come up something new. Or you could show how Count Dooku and Modok would work together and you could having them torturing Anakin Skywalker, but you shouldn’t have them taking on the entire clone army. So... no Deadpool and Dooku fighting some clones? As long as the emphasis is about them working together and not about how big a clone army they are facing it's okay. I just want to say thanks for these contests! Great fun. I joined the forums too late to enter the SWBP contest and would have enjoyed that. This one is really cool too but my favorite idea uses Phoenix and I can't afford that figure (lol), get a representation of her in LDD, or use a custom version of her. I may come up with another idea I want to pursue, but my main point is thanks for the contests and I hope they continue. Glad to have you here and glad you are enjoying these contests! Thanks! Thanks to Darats and NathanR I can now successfully render on my Mac. Possibly I can enter one after all if I can figure out how to get special minifigures in there. I'll build a physical collection again though and enter one sooner or later. 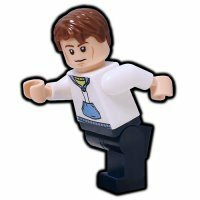 I've been abusing browsing Bricklink so I have a few parts and minis. Could I have Darth Vader + Stormtroopers and Loki + Chitauri fighting avengers? That's starting to abuse the rules. 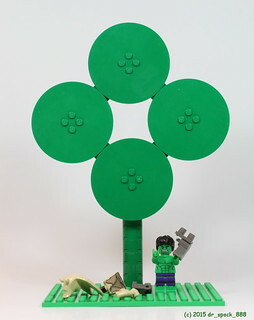 I think that would make a very cool MOC, but it would have to be for something besides this contest. That's cool. I knew it was a long shot. Good thing I have more... simpler ideas. Thank you for understanding! The reason for that restriction is so that this contest doesn't become a fig army display rather than a contest of skill. As long as the emphasis of the build is on the Gaurdians and the bounty hunters working together then that's fine! For Cat B, can we show teamwork on both sides? For example, Thor and Han Solo vs Emperor Palpatine and Loki?